The Rohingya had no time to consider what to take as Myanmar forces drove the Muslim minority into Bangladesh in a crackdown a year ago likened by the UN to ethnic cleansing. Some fled with little more than the clothes on their backs and children on their hips. But what they did manage to bring tells an intimate story about the plight of a long persecuted and stateless people. 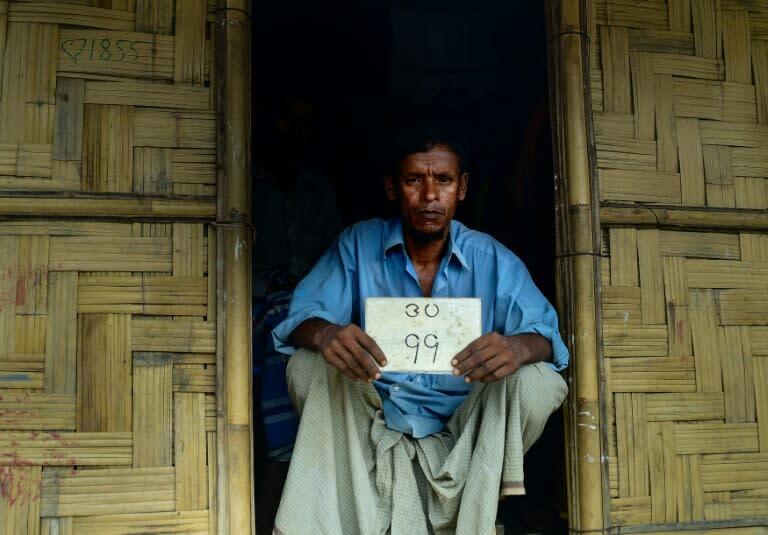 Jalal Ahmed prised the faded tin number plate marked with Burmese characters off the front of his family's home as they packed up their lives and left Rakhine state. "When we were leaving, we knew we would need something to prove we were Rohingya, and proof of our residency," he told AFP in the doorway of the shanty where he lives with his family in a vast refugee camp in southern Bangladesh. The Ahmed family had lived in a proud two-storey wooden home in their village for countless generations, Jalal's grandfather Abdul said. Jalal, a 52-year-old businessman, said the plate was not a memento but a connection to his past before the misery of refugee life. "This isn't immaterial," Jalal said. "We carried it with us because wherever we go, this will show that we belong to a place." 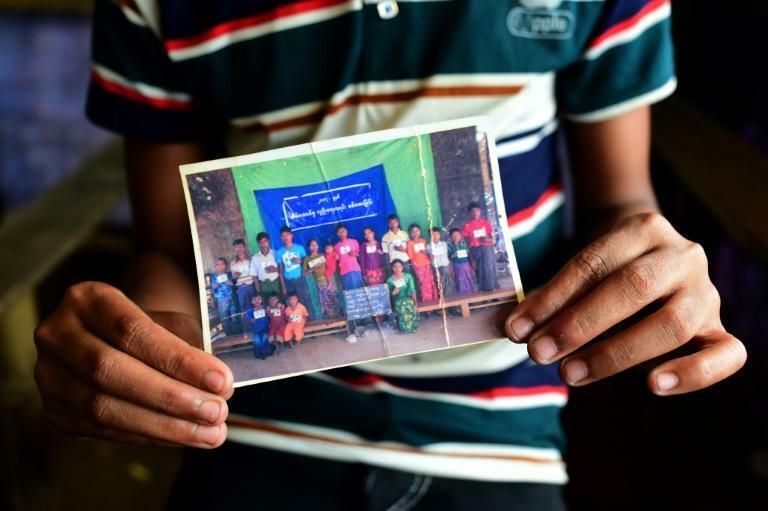 Mohammad Ayaz, 12, brought a faded old photograph of his family with him on the long journey from Myanmar. It shows 17 people -- his grandparents, siblings and parents, aunts and uncles -- posing for an official portrait holding signs marked with Burmese script. The Rohingya are reviled in Myanmar as illegal immigrants, branded "Bengalis" and denied citizenship and basic rights and freedoms. "We will need this photo when we go back to Myanmar, to identify who is who from our family," he told AFP, folding up the creased photograph for safekeeping. "It's a very important picture. We will need this." Asaru Begum knew the journey to Bangladesh would be long and arduous, especially for her children and grandchildren. So she brought cooking pots to gather water, stew rice and green chillies, and perform ablutions for prayer while hiding out in the hills. "I brought the pots and rice because I knew the children would get hungry after two days' journey," she told AFP, pointing to the pots she still treasures today. "I brought them so I could feed the babies. They cry a lot when they are hungry." Mohammad Khares, a diligent pupil with dreams of going to university, was in his final year of high school when violence erupted in his village. "I miss school very much. I was about to graduate, I was this close. That really hurts," the crestfallen 20-year-old told AFP. There are no schools in the camps, so Khares has used his Bengali and English language skills to find piecemeal work with foreign aid groups helping the refugees. His school ID card is precious. 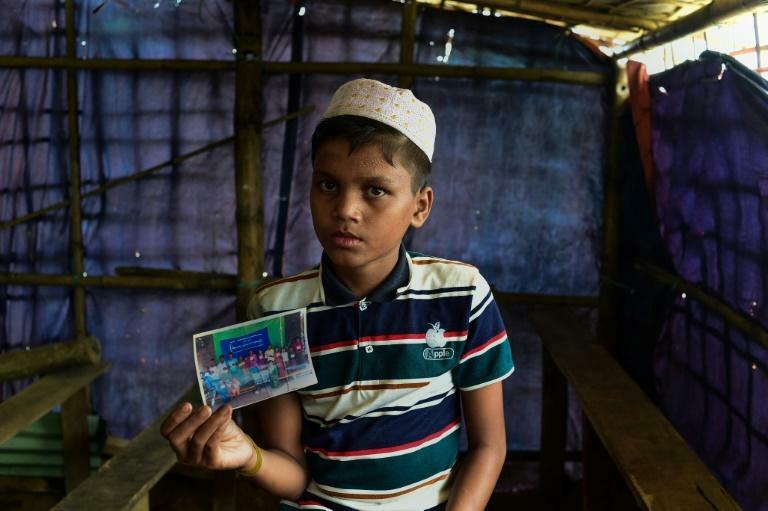 Most Rohingya receive little or no schooling in Myanmar so his card -– bearing his photograph, credentials and official seal -– is a rare privilege and a passport to opportunity. "When I go back to Myanmar, I want to resume my studies. But they might ask, 'what proof do you have of your education?' This card will prove that I was a Class 10 (final year) student," he said. Violence descended so quickly on Mohammad Jubayer's village that he had no time to choose what his family might need to survive in Bangladesh. "On our way here, we couldn't bring anything," he told AFP at the edge of a fetid tent colony overlooking a trash-strewn, muddy clearing. Other escapees shared what food they could as Jubayer, 30, and his wife took turns carrying their four infant children as their eldest daughter trailed behind. "We spent nine days walking through the hills. We had our children with us. So we just carried them -– nothing else." Mohammad Umar left all this favourite playthings behind in Myanmar as his family joined the steady exodus of Rohingya leaving their burning homeland. But once in Bangladesh, the industrious 12-year-old put his mind to work. Scavenging a rechargeable battery, and carving a hull from a chunk of styrofoam, he fashioned a rudimentary boat replete with a pen tube for a rudder. "We used to make these and play with them in Myanmar," Umar said as the boat chugged through brown puddles swollen by monsoon rain.